Michael Helquist, "‘Criminal Operations’: The First Fifty Years of Abortion Trials in Portland, Oregon." 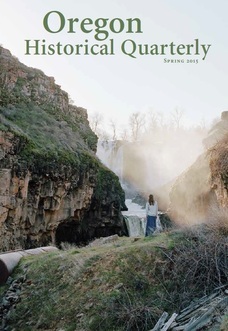 Oregon Historical Quarterly, Volume 116, Number 1 (Spring 2015). Among the physicians who avoided legal problems for their abortion work was Marie Equi, who helped end unwanted pregnancies as part of her commitment to reproductive health services. Michael Helquist, “Lewd, Obscene and Indecent”: ​The 1916 Portland Edition of Family Limitation. 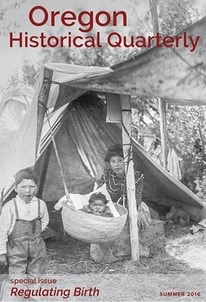 Oregon Historical Quarterly, Volume 117, Number 2 (Summer 2016). The Oregon Historical Quarterly presents an analysis of the rare 1916 Portland version of ”Family Limitation,” the birth control pamphlet that significantly shaped American thought, values and behavior. The 16-page document gave thousands of Americans their first access to comprehensive information on preventing pregnancy. Historian Michael Helquist discusses the distinguishing features of this document, as revised by Portland doctor, lesbian, and activist Marie Equi at the request of birth control advocate Margaret Sanger. Khris Soden and ​Michael Helquist (Drawn by Khris Soden). Adventures in Family Limitation (History Comic). Oregon Historical Quarterly, Volume 117, Number 2 (Summer 2016).